So you’re having a game night with your friends? It’s a great way to catch up with people you might not see that often, especially if you’re all the competitive sort. However, you’re now left with the task of deciding what to do with your evening. No pressure, but as the host, everything rests on your shoulders. Luckily, we’ve thought up some great ideas for how to make your game night one to remember, so you don’t have to. We live in the digital age. If your friends don’t know how to play video games, you’ve got to wonder if they’re really as young as they say they are. There are plenty of great multiplayer titles out there, from platformers to sports games. Plus, no evening is complete without hating each other after a couple of Mario Kart races. A lot of these games are short and sweet, so you can mix and match what you play to find out who the all-around champion is. As for the loser… well, there’s got to be some punishment for coming last, right? If video games aren’t your thing, how about breaking out a pack of cards. Whether you want to go for something sneaky like Cheat, or just a classic game of poker, you’re definitely spoilt for choice. The list of things you can play with cards is endless, especially if you have a good imagination. Why not make up your own game and see if that gives you an advantage over your friends. You can always spice up the card games by getting a few drinks involved. There are plenty of games designed for people looking for an excuse to get sloshed. What night is complete without a game of Ring of Fire? You’re not real friends if you’re not forcing each other to down a disgusting concoction of everyone’s drinks, after all. Remember those great games you played when you were younger? Monopoly. Scrabble. The Game of Life. You probably have fond memories of them all, even if they were responsible for a fair share of arguments. Well, what better time to revisit those childhood classics than at a game night with your friends? It’s likely that everyone knows how to play them, and they’ll all have some connection to the board games you bring out. Plus, who doesn’t love a bit of nostalgia? It’s not easy being an adult, so sometimes you just need to feel like a kid again. If you want to add a bit of excitement to your night, then turn up the competition. It gives a bit of purpose to the proceedings and makes being the winner much more worthwhile. Maybe you and your friends should come together to buy a prize for the victor. After all, what good is coming first if you don’t get something for it? 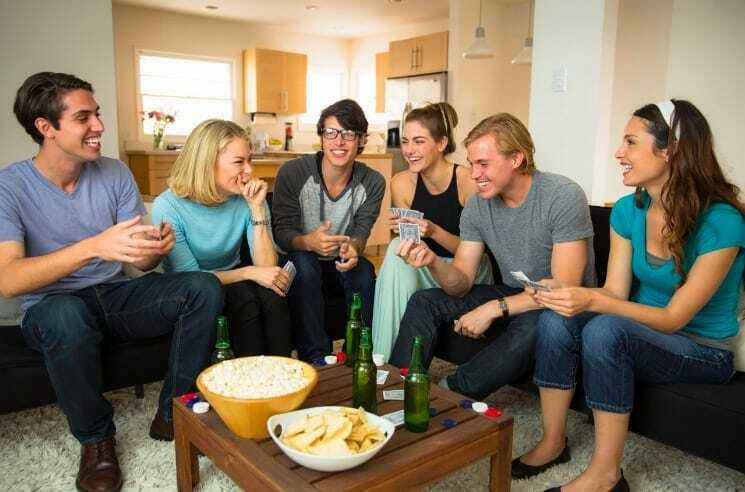 Your next game night with your friends may well be a lot more exciting if you incorporate some of these ideas into the mix.